Faywood Hot Springs, a rustic natural geothermal resort in southwestern New Mexico, has many outdoor public and private soaking pools for those who wish to partake of its healthful and rejuvenating mineral water baths. There are separate clothing-required, clothing-optional (naturist), private and group bathing areas. There are tent sites for camping, pull through RV (recreational vehicle) sites with full hook ups, and private cabins for overnight lodging accommodations. Our new Visitor's Center has a country store and gift shop. A cafe and museum are coming soon. This cozy, private casita is nestled amongst high-desert trees. Perfect for a weekend away. 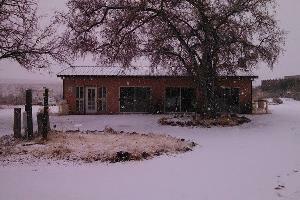 This cabin is named for the Apache peoples who migrated to and from the healing springs at Faywood. Apache Cabin is pet-friendly, although we do not permit pets on the beds or in the bathtubs. This cozy, private casita is nestled amongst high-desert trees in our clothing optional camp ground area. Perfect for a weekend away. Take a hike around Faywood and you will see lovely cholla cactus dot the high desert. Faywood Hot Springs does reserve the right to switch cabin reservations of equal value to accommodate the physically disabled. 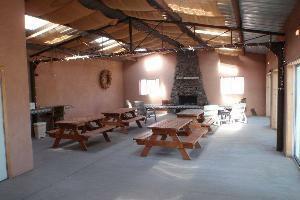 This building has one large room with a fireplace and two restrooms. There are multiple picnic tables which can be used or moved to create more open space. There is also a counter along one wall with a sink. 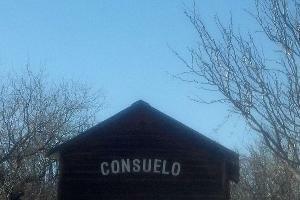 Consuelo is Spanish for comfort and is named after the historic hotel, Casa de Consuelo (House of Comfort), that used to stand at Faywood Hot Springs Resort. Named after the beautiful, varying colored dragonflies you might see while soaking in the springs. Dragonfly is a favorite among Faywood guests. Faywood's Guest House is a mobile home trailer that can accommodate up to 6 people. The sited booking charge is for two people, additional people are charged extra. 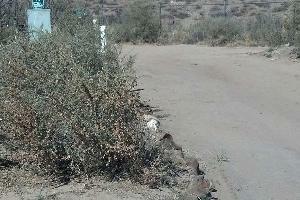 Watch out for the thorns of the native mesquite tree! We promise a comfortable stay in Mesquite’s one-room lofted cabin after soaking in the springs. 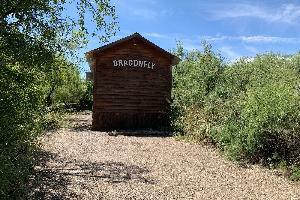 This one-room lofted cabin is named after the ancient Mimbres people that stood where Faywood Hot Springs Resort now stands. 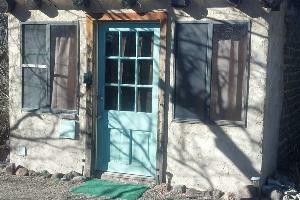 Mimbres Cabin is pet-friendly, although we do not permit pets on the beds or in the bathtubs. Up to 35' RV site in clothing required campground - 30 Amp Power and Water. Dump Station Access available and included in fee. Tent camping is also allowed at this site. 1 person $25.75 2 people $38. Check-in is between 2 PM and 9:30PM. Up to 32' RV site in clothing required campground. There is an 11’ RV height maximum at this site - 30 Amp Power and Water. Dump Station Access available and included in fee Tent camping is also available at this site. Check in is between 2 PM and 9:30PM. Up to 35' RV site in clothing required campground - Back-in only - 30 Amp Power and Water and Sewer. Tent camping is available for this site. Check in is between 2 PM and 9:30PM. Front Desk closes at 10PM. Up to 50' RV site in clothing required campground - 30 Amp Power, Sewer and Water. Tent camping is also available at this site. Up to 40' RV site in clothing required campground. 50 Amp Power, Sewer and Water. Tent camping is available at this site. Check in is between 2 PM and 9:30PM. Front Desk closes at 10PM. Check out is at 11 AM. Up to 40' RV pull through site in clothing required campground. No slide-outs - 50 Amp Power, Sewer and Water. Tent camping is also available at this site. Up to 40' RV site in clothing required campground. 50 Amp Power, Sewer and Water. Room for slide-outs. Tent camping is available at this site. Up to 40' RV site in clothing required campground - 30 Amp Power, Sewer and Water. Tent camping is also available at this site. Up to 62' RV site in clothing required campground - 30 Amp Power, Sewer and Water. Tent camping is available at this site. Up to 60' RV site in clothing required campground - 30 Amp Power, Sewer and Water. Tent camping is available at this site. Up to 74' RV site in clothing required campground - 30 Amp Power, Sewer and Water. Tent camping is available at this site. 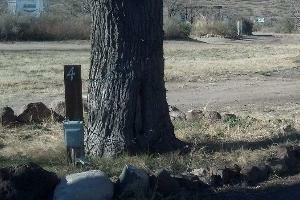 Up to 40' RV site with privacy fence in clothing required campground - 30 Amp Power, Sewer and Water. Tent camping also available at this site. Up to 32' RV site in clothing required campground - Back-in only - 30 Amp Power, Sewer and Water. Tent camping is also available at this site. Dry tent site in clothing required campgrounds. We do enforce our policies. 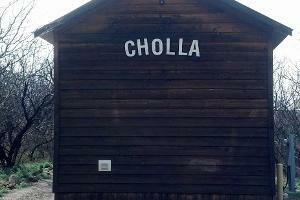 Dry site up to 32' RV in clothing optional campgrounds - Back-in only. Dry tent site in clothing optional campgrounds. 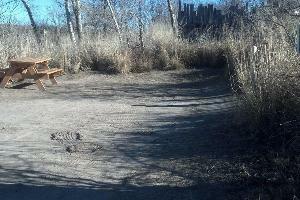 Dry site up to 26' RV site in clothing optional campgrounds - Back-in only. 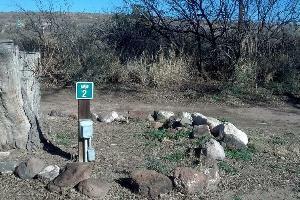 Dry site up to 24' RV site in clothing optional campgrounds - Back-in only. 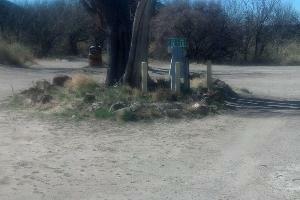 Faywood Hot Springs is located halfway between Silver City and Deming NM., a mere 30 minute detour off Interstate 10. We have multi-use and private pools available for rent daily from 10:00 AM to 10:00 PM. We have an assortment of cabin types, RV and camp sites. Come relax and rejuvenate in our desert oasis for the day, the night, the week or whatever fits into your schedule. Catwalk Day Trip - travel time 3-4 hours. Excellent destination for a picnic or nature hike. This 250 foot long metal causeway clings to the sheer cliffs of Whitewater Canyon and is suspended 20 feet above the stream bed. In places the canyon is 250 feet deep and only 20 feet wide. The original wooden catwalk was used to support a pipeline for the Graham Mill in 1893. It was rebuilt by the Forest Service out of metal in 1961. Gila Cliff Dwellings - travel time 4-5 hours - Built in the late 13th century, there are 42 well preserved rooms in 5 natural caves. It is a mile round trip walk up a cool, shady canyon. City of Rocks State Park - travel time 10 mins. Volcanic in origin, these boulders have been eroded in fantastic and bizarre shapes. 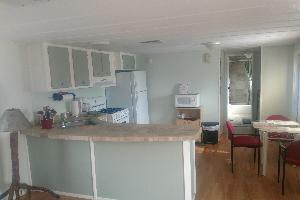 Walking and bike trails available. Wine Tasting - Travel time 30 mins. Deming has two renowned wineries, St Clair and Luna Rosa, both open for tasting daily. La Esperanza is another well-known winery located on Hwy 61 that is open weekends. You may cancel your reservations, without penalty up to 48 hours in advance of check in by contacting the Front Desk by email (faywoodfrontdesk@gmail.com) or phone (575) 536-9663. If you cancel between 47 and 24 hours in advance you will be charged 50% of your entire stay. If you cancel 23 hours before or no show, you will be charged 100% of your entire stay.